Paul Fairchild, AL4G, graciously hosts the clubs first hillside mesh node at his residence. 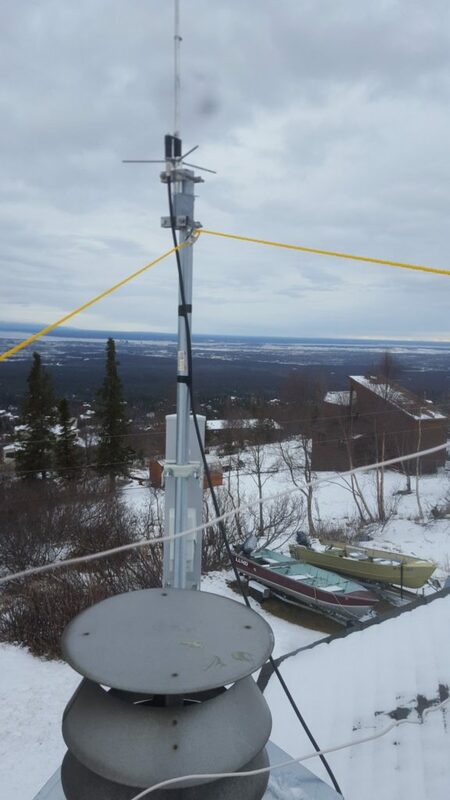 This node sees the entire Anchorage bowl and links nearly all stations on the network. Thank you, Paul! 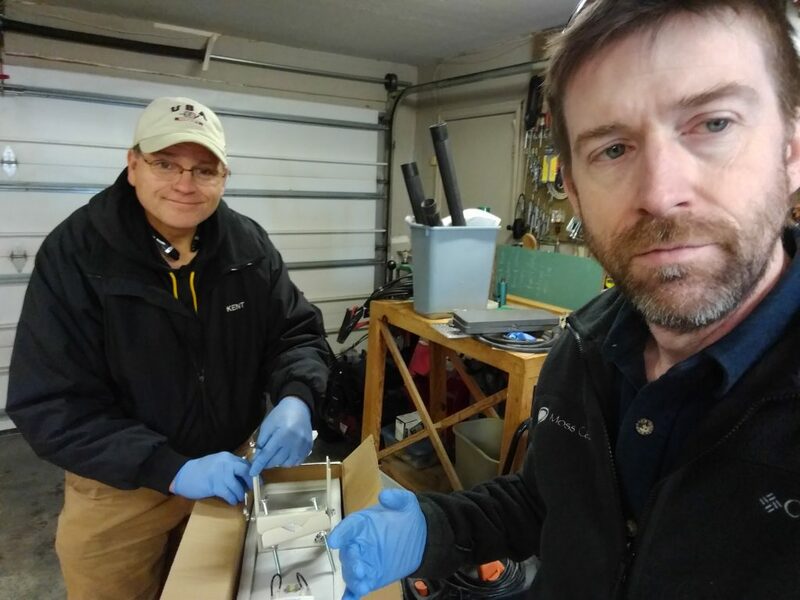 KL5T (left) and AL4S (right) assemble the 3.4 GHz MESH node in AL4G’s garage.